Sunday was a beautiful day to play tennis, albeit a bit warm for Northerners, as temperatures flirted with 80 and the humidity increased. All the singles started at 9am. I played Ann Clark, who is not yet 55 (she turns 55 in May). She took out the #4 seed, Sally Smith, in straight sets on Thursday and was on Fran Chandler’s side of the draw. (Fran hurt her leg in warm up yesterday). Anyway, Ann is a good player, moved well and we played well over 90 minutes before I won 60 63. 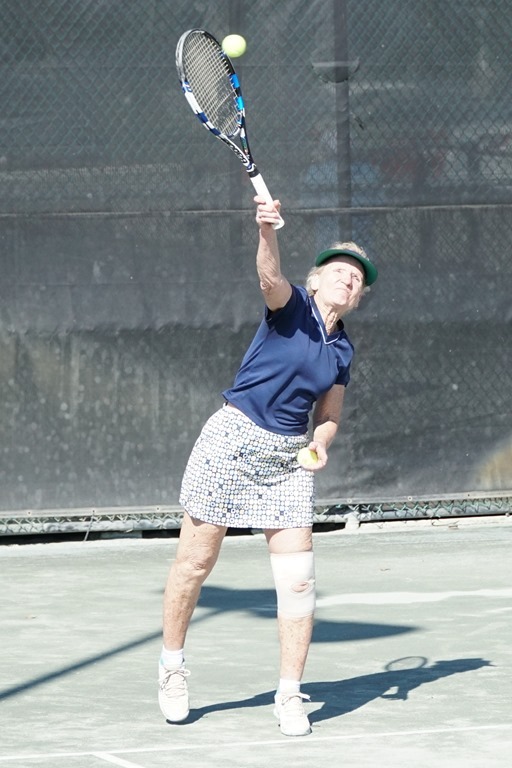 The 3/4 was a double default as Susan Boyer hurt herself in the second set of our match yesterday. Wendy McColskey, making her 65s debut, beat Anne Guerrant (who ranked as high as #11 in the world and who won the Australian Open doubles title twice) 63 63. 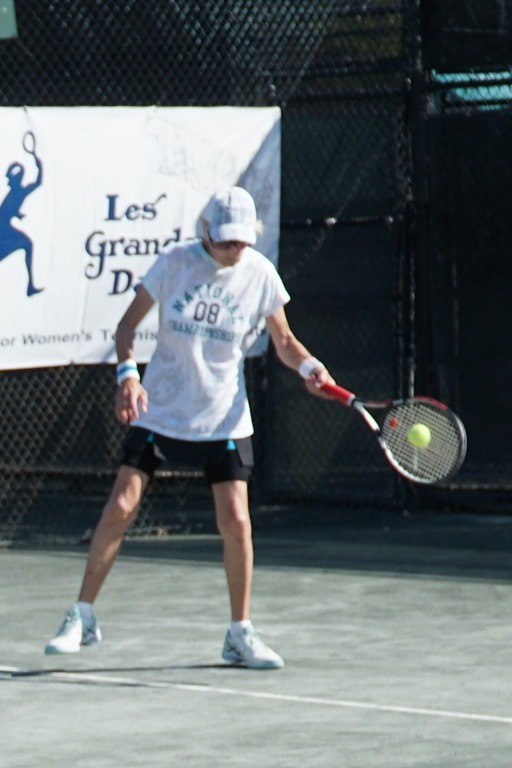 Wendy impressed with her forehand and movement all week. The 3/4 was a long battle finally won 9-7 in the third set tiebreak over Toni Novack in about three hours. Cathie Anderson and Charleen HIllebrand, both from Southern California, have had many battles. Cathie anticipates really well and Charleen has always had aggressive ground strokes. Cathie came out on top after dropping the first set; she won the final sets 64 63 and wore out Hillebrand in the hot and humid conditions. 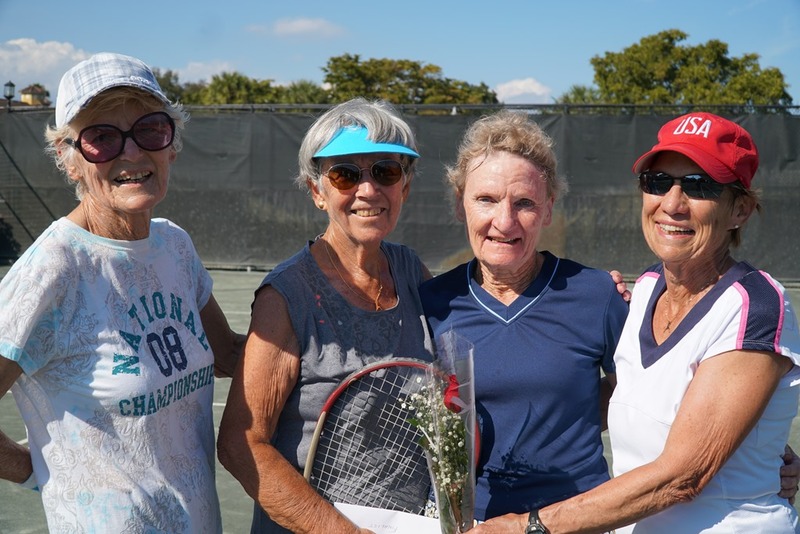 Hillebrand though recovered well enough to combine with Sheila Weinstock to win the 75 doubles 63 62 over Ria Graham/Carol Wood. 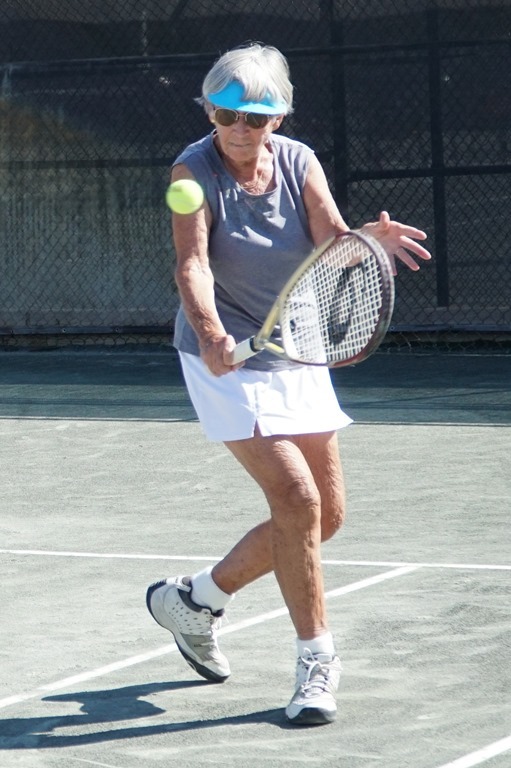 Sheila fell to Susanne Clark in three sets in the 3/4 playoff. 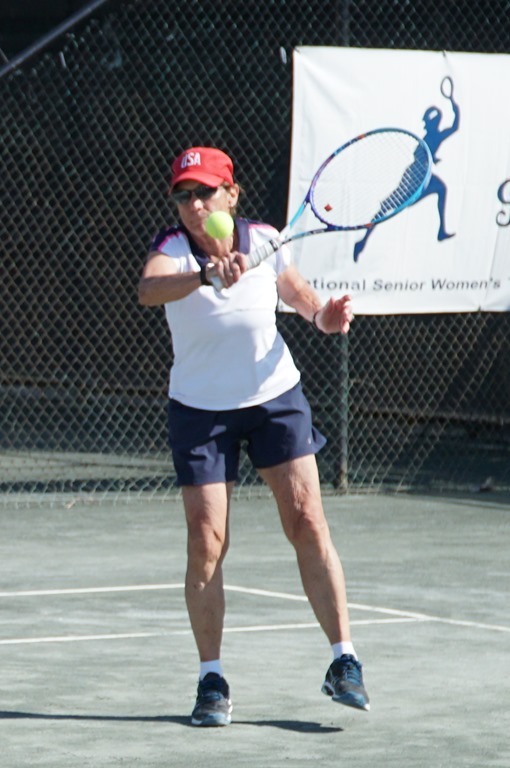 Tangerine Manning, a tall big hitter, overpowered Martha Garzon 62 75 to win the 45 singles. 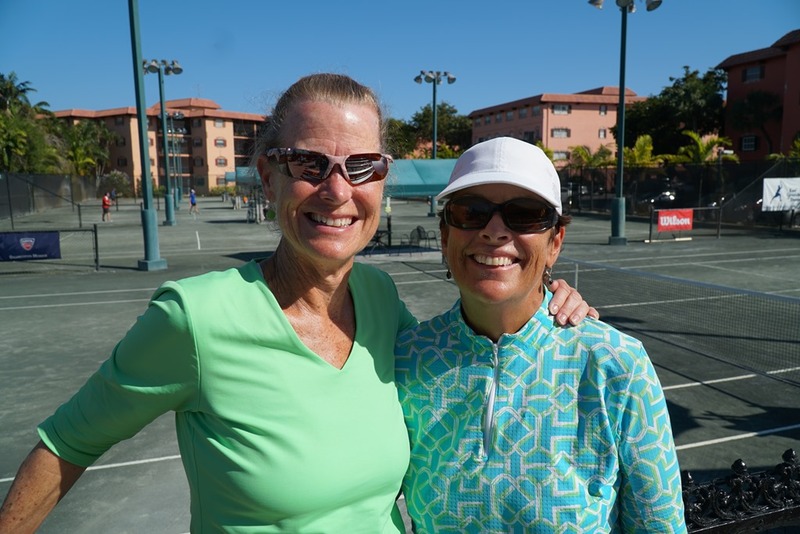 Kris McDonald and Kathy Zanon though won the 45 doubles over much younger opponents Barni/O’Hern 62 75. 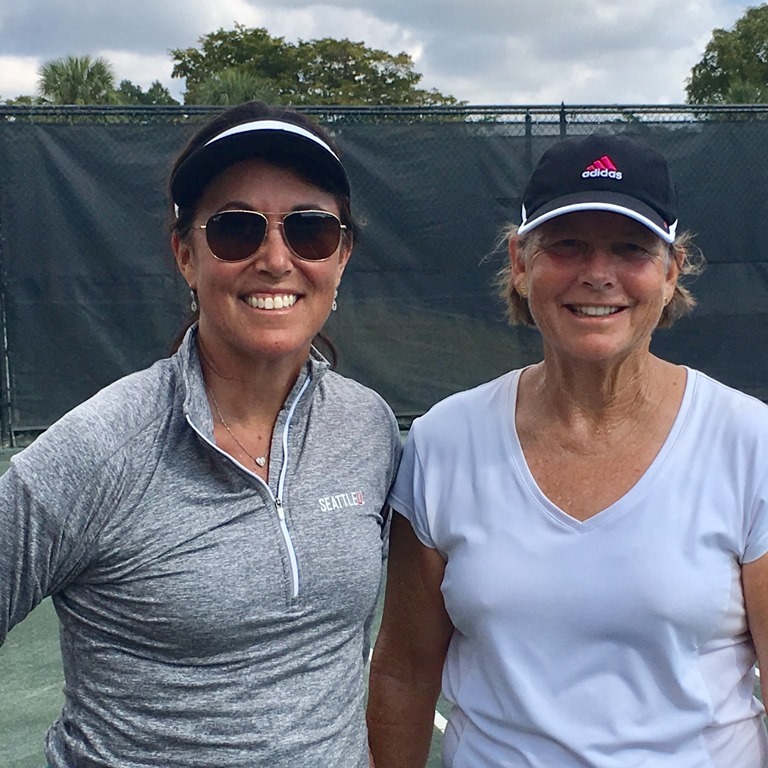 Thanks to Margy Edmund, Peggy Machoian, the staff and members of the Lauderdale Tennis Club for hosting another successful Crawford Cup tournament. Great weather, nice crowds, lots of fun.